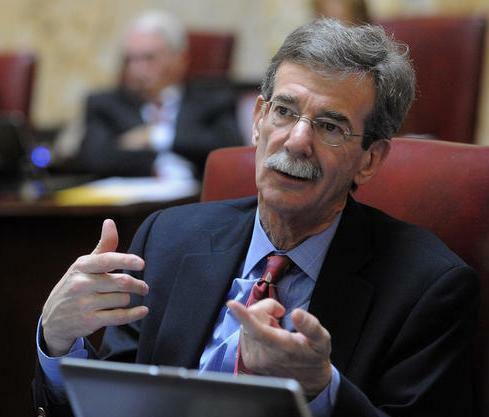 A new nine-member commission is being tasked with redrawing Maryland’s sixth congressional district, under an executive order Gov. Larry Hogan signed Monday. The move follows a ruling by the U.S. District Court in Baltimore earlier this month that the Western Maryland district was unconstitutionally gerrymandered to benefit Democrats. The court gave the state until March to submit a new, more fair map. In the last State of the State Address of his four-year term, Gov. 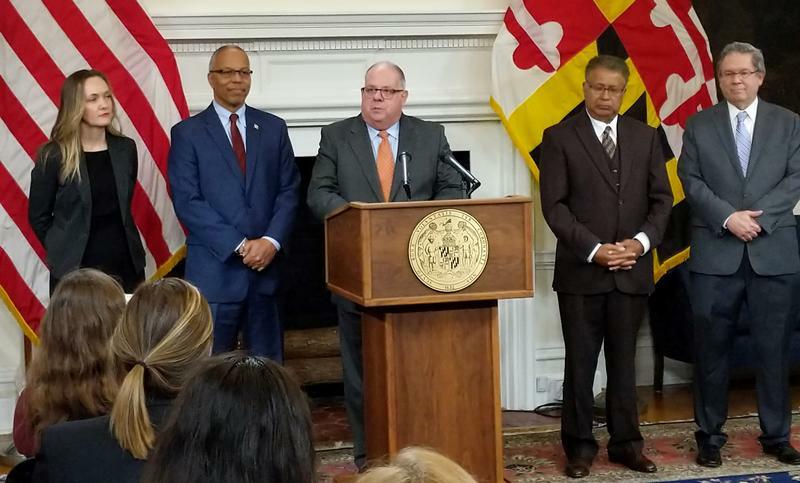 Larry Hogan called for rising above political discord. “Instead of becoming more like Washington, let’s send a message to Washington by putting the politics aside and coming together for all Marylanders," he said during Wednesday's speech. But almost everything about the way the speech was received was partisan, down to the applause, which came almost exclusively from Republicans. The meeting of the Baltimore City Criminal Justice Coordinating Council Tuesday morning was closed to the public and to the press, but the city and state officials who attended said tougher sentencing practices was a major focus of the discussion. 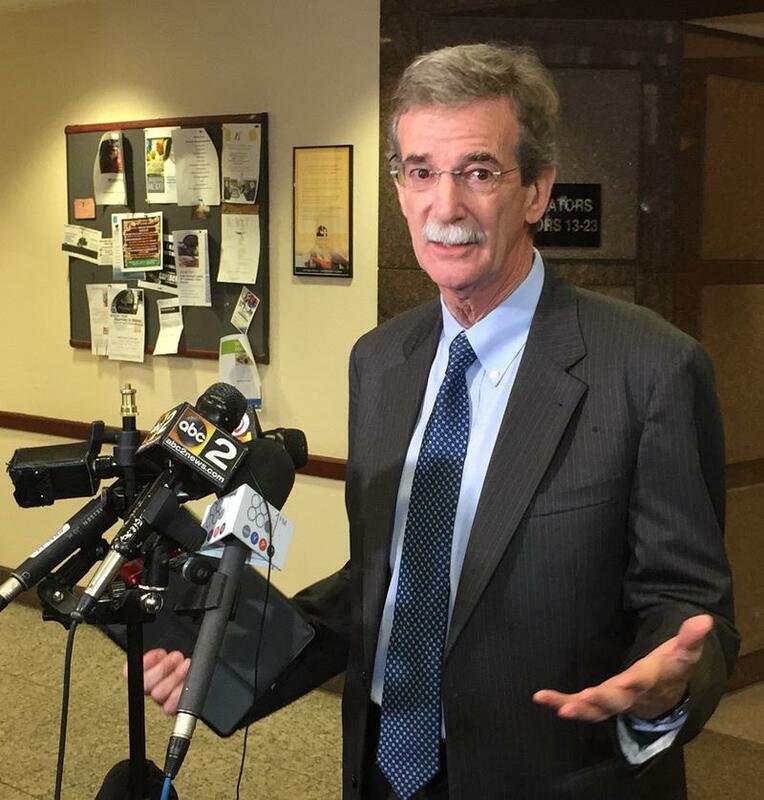 A bill passed Wednesday by the state Senate gives state Attorney General Brian Frosh up to $1 million to hire five attorneys to help his office challenge federal policy. The measure, which already passed the House, is a direct response to executive actions taken by President Donald Trump. 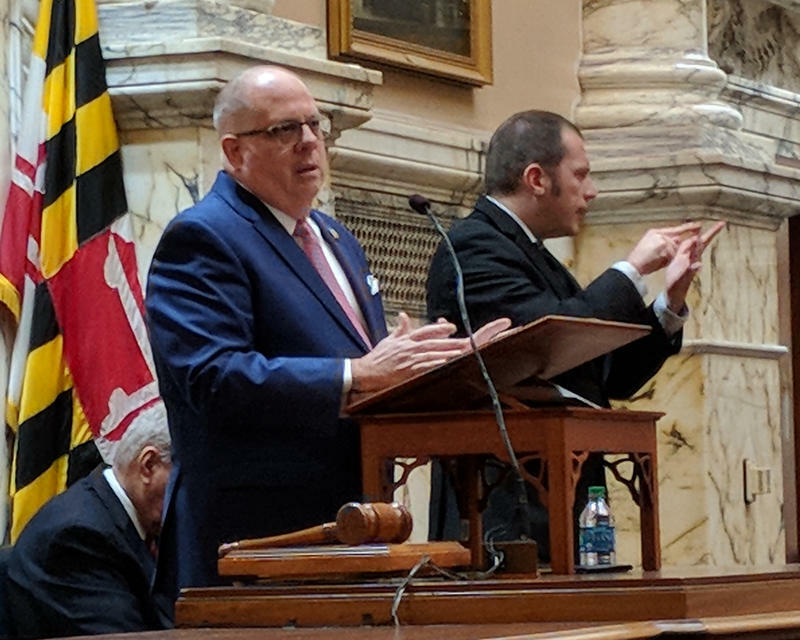 The Maryland House of Delegates voted along party lines Wednesday to make it easier for the state attorney general to sue the federal government. Legislation expanding the state attorney general’s powers to sue the federal government advanced in the state Senate Thursday. But nine of the Senate’s 14 Republicans walked out before the vote to protest the Democratic majority rushing the measure through the body. Democrats in Annapolis are preparing a slew of legislation and other initiatives that they say are direct responses to President Donald Trump and anticipated changes in federal policy. Among them is a bill that would make Maryland a sanctuary state for immigrants without legal status. 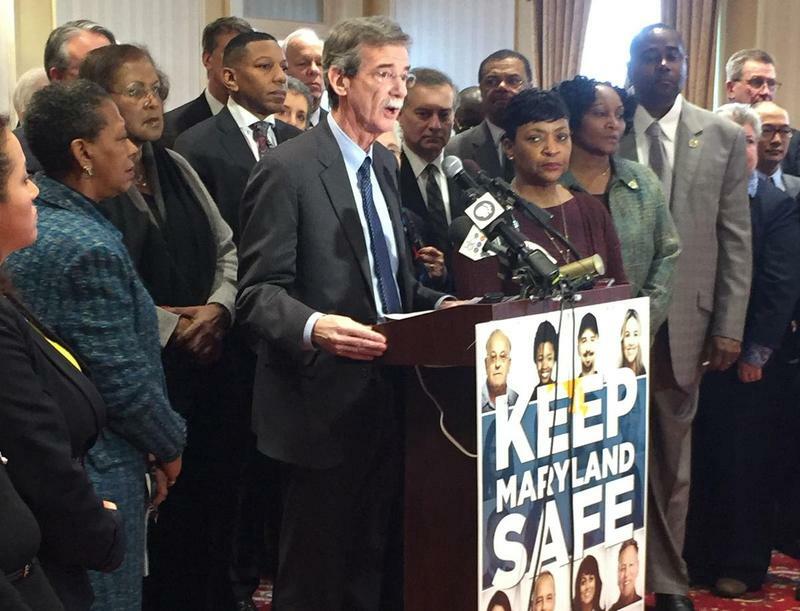 Maryland Attorney General Brian Frosh told a panel of Baltimore City representatives in the House of Delegates on Friday that the state’s cash bail system is likely unconstitutional. A new report from the state attorney general’s office found roughly 3,700 untested sexual assault evidence kits dating back as far as 1981. The Baltimore City Police has the second-highest number of untested kits of any law enforcement agency in the state, with 871 through 2016. The report released Tuesday recommends several changes to how police handle the evidence collected from sexual assault victims statewide.